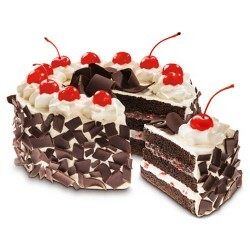 Red Ribbon's chocolatiest Black Forest with a cherry twist. Made with moist chocolate cake with cream and cherry filling, topped with chocolates and cherries. 8" diameter.